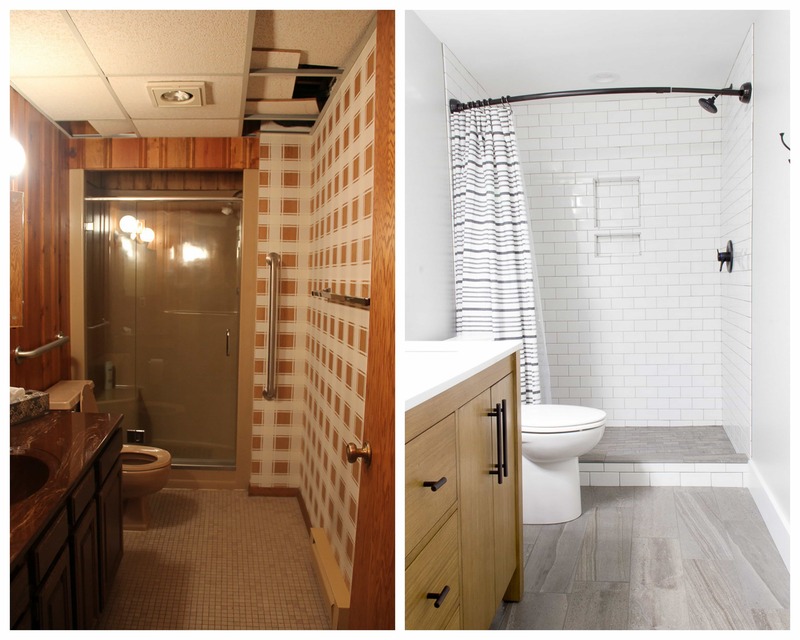 These “before” and “after” shots from these three remodeled modern bathrooms will have you second guessing if it’s the same bathroom! I am SO SO SO excited to share today’s post with you! This has been a LONG time coming! 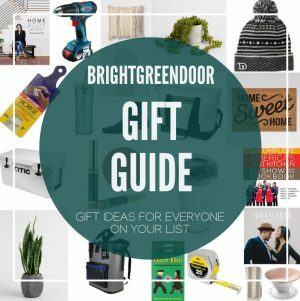 I helped our friends with some design work on their retro house renovation. 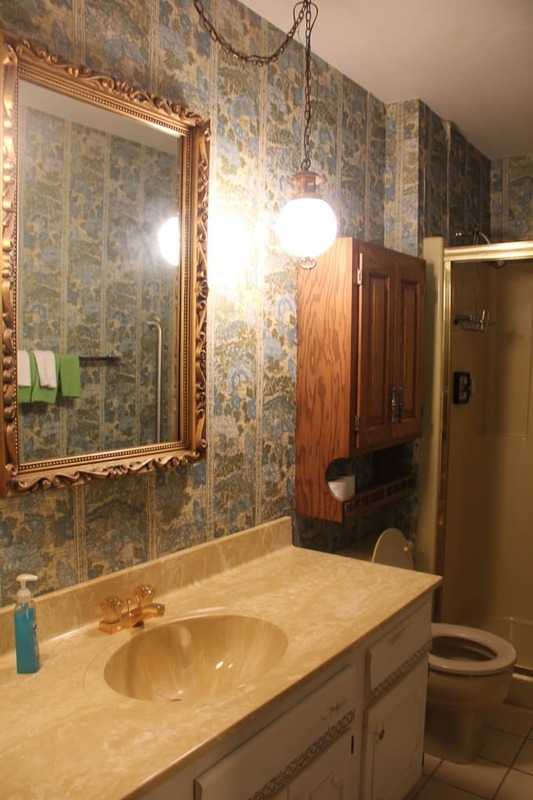 All three bathrooms were VERY dated and needed total overhauls. 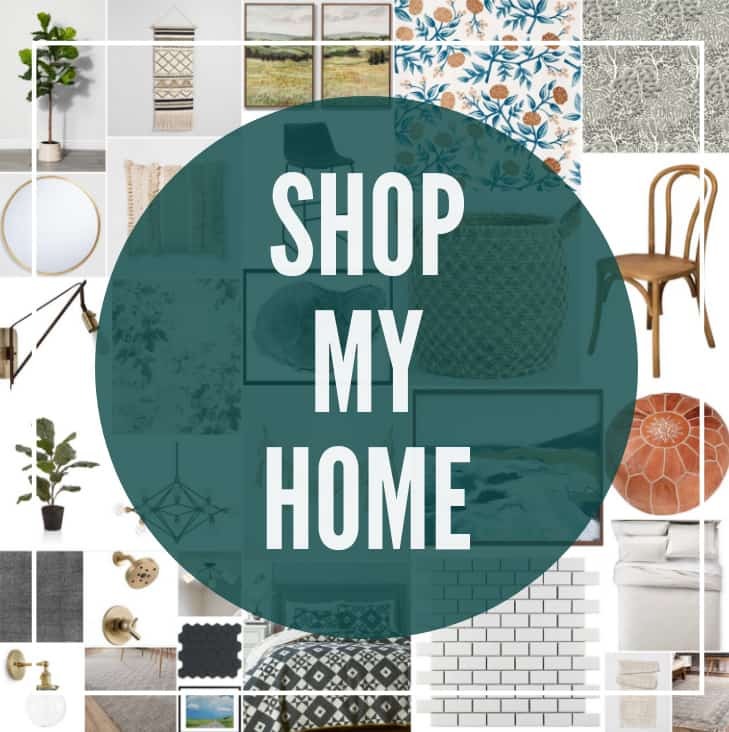 I helped her with choosing tile, colors, vanities, and fixtures. Thankfully they hired a contractor to do all the work! 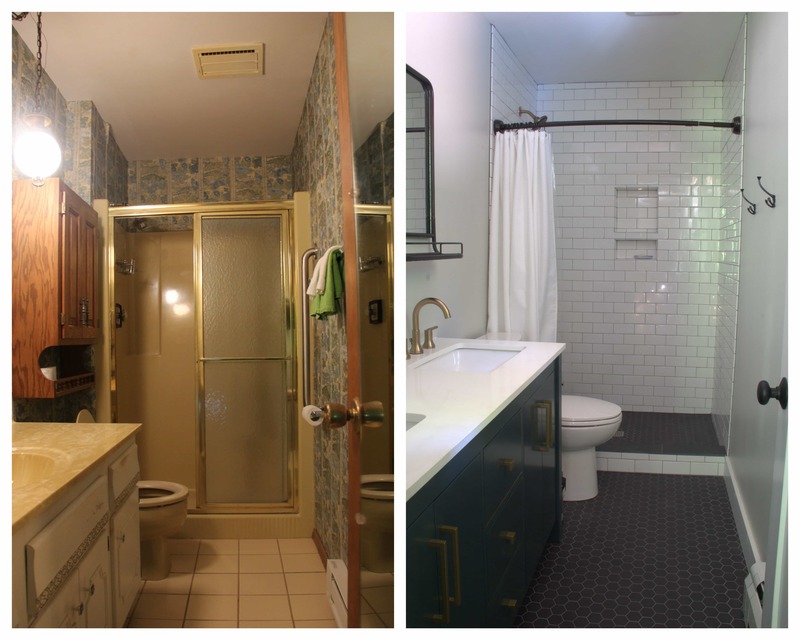 They re-did three bathrooms: the master bathroom, the hall bathroom, and the basement bathroom. 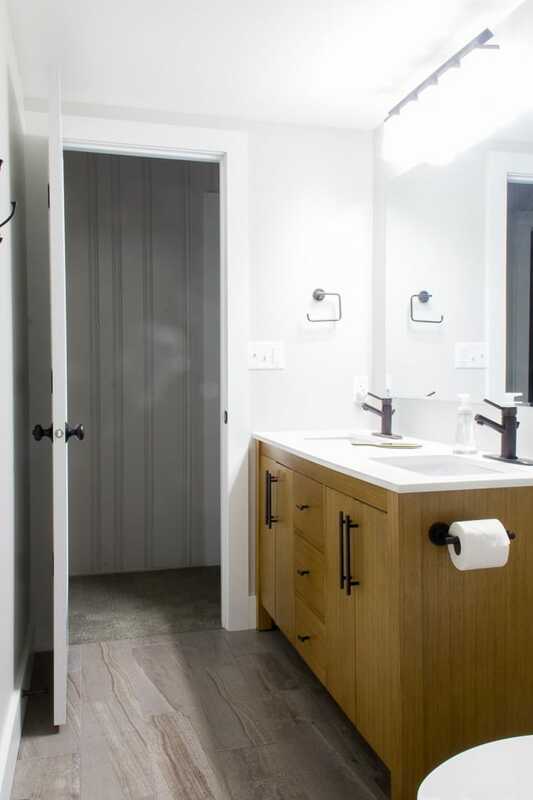 Each bathroom is different and unique, yet they all three still flow with the style and feel of the house. 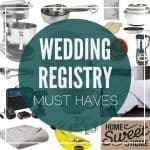 To see their renovated kitchen and dining room head to this post here! 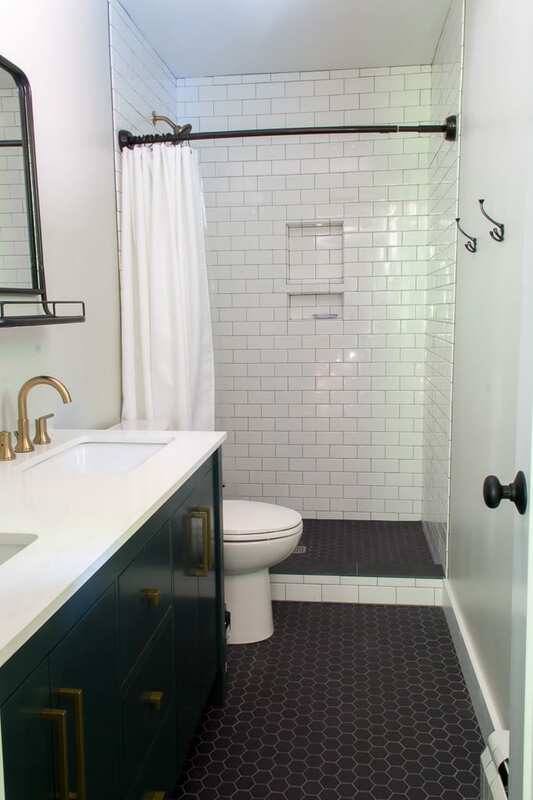 This bathroom is long and narrow and the original layout in here made sense to stick with. 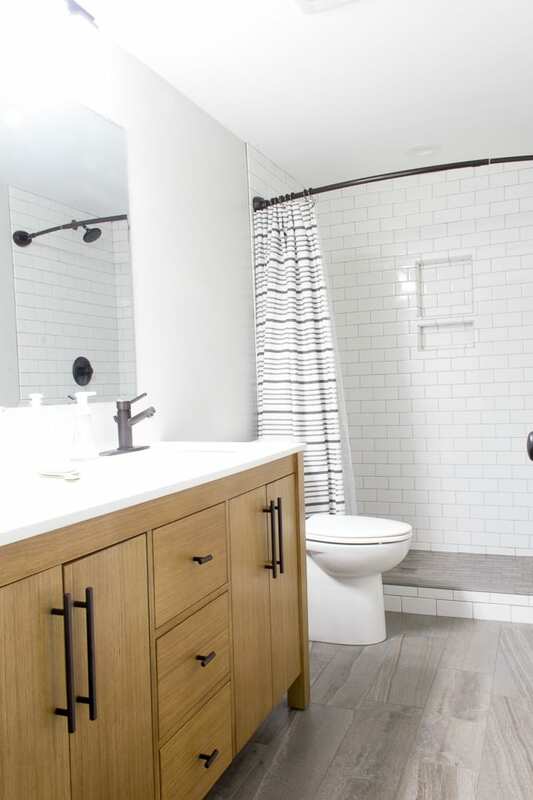 The homeowner had found this inspiring bathroom online, and wanted to replicate this look and feel. 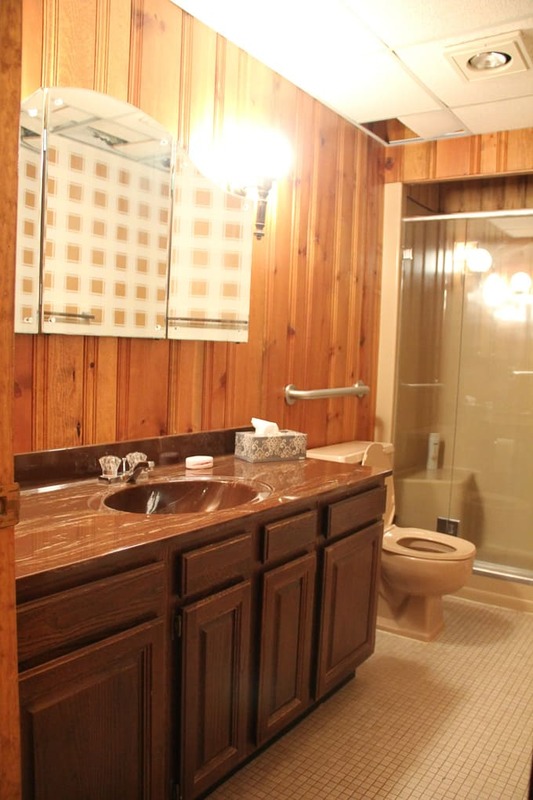 This bathroom is the only bathroom with a window, which allowed us to use some darker colors. The vanity is painted my favorite deep green and I LOVE how it looks with the brass pulls! 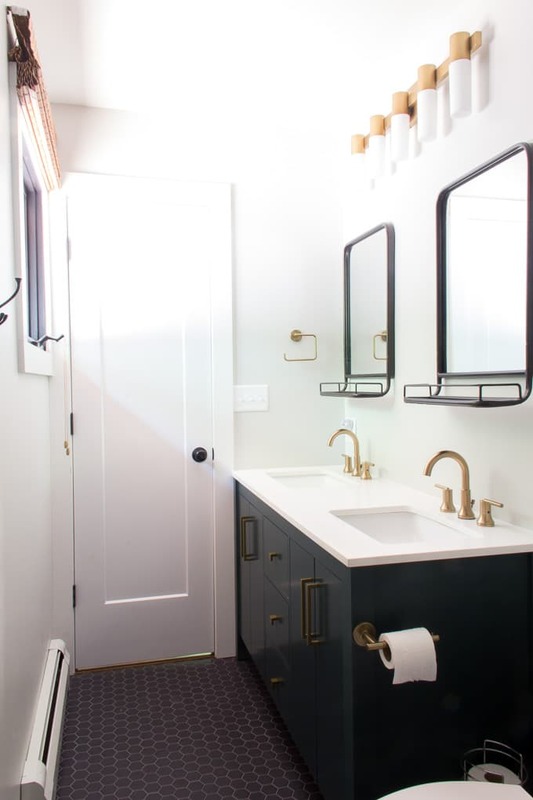 We splurged on brass fixtures for this bathroom and I think it was TOTALLY worth it! 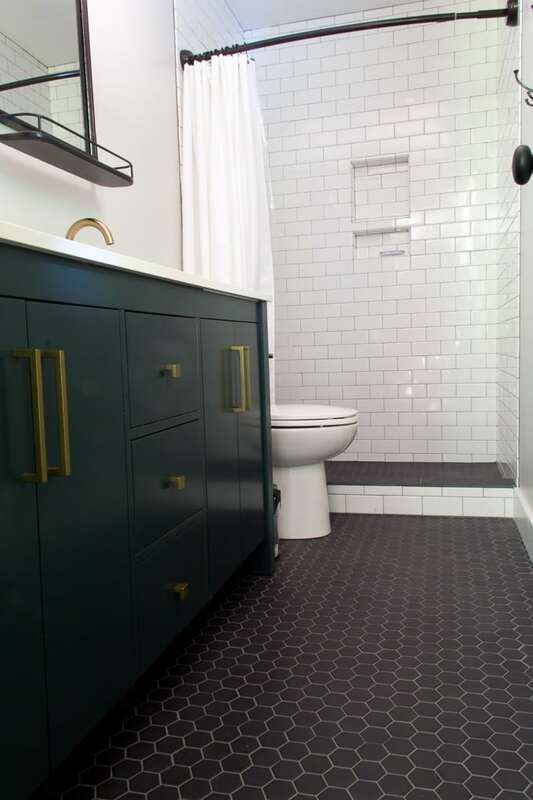 I also like how the black mirrors work with the flooring, and also give a little break from the brass. Aren’t those pharmacy mirrors gorgeous? 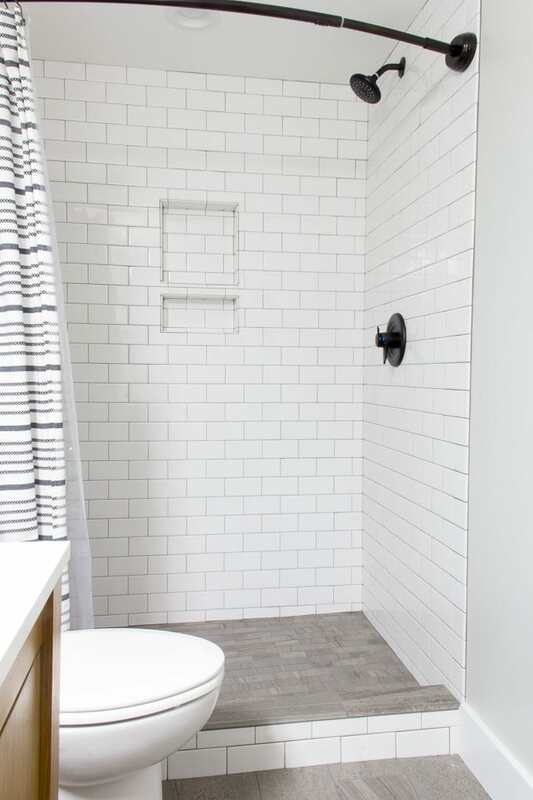 We stuck to subway tile in this shower, and went with the same color grout that we used on the honeycomb floor tile. Speaking of the hexagon floor tile isn’t it amazing? 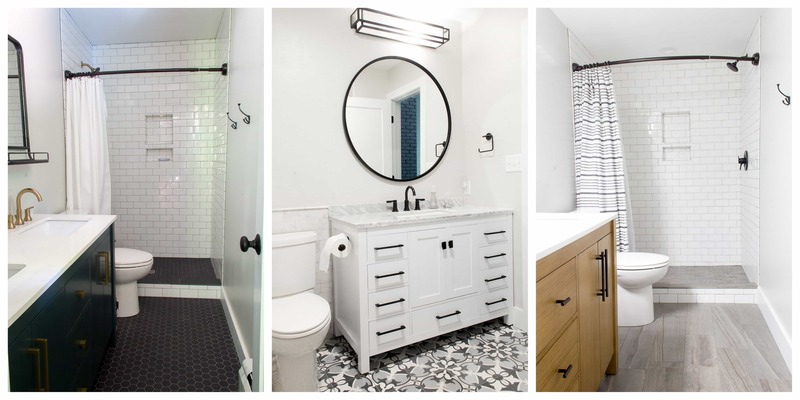 I think of all three bathrooms this is my favorite… black and white with a fun pop of color! Just to remember how far this little bathroom has come, here’s the side by side before and afters! Dramatic transformation huh?! 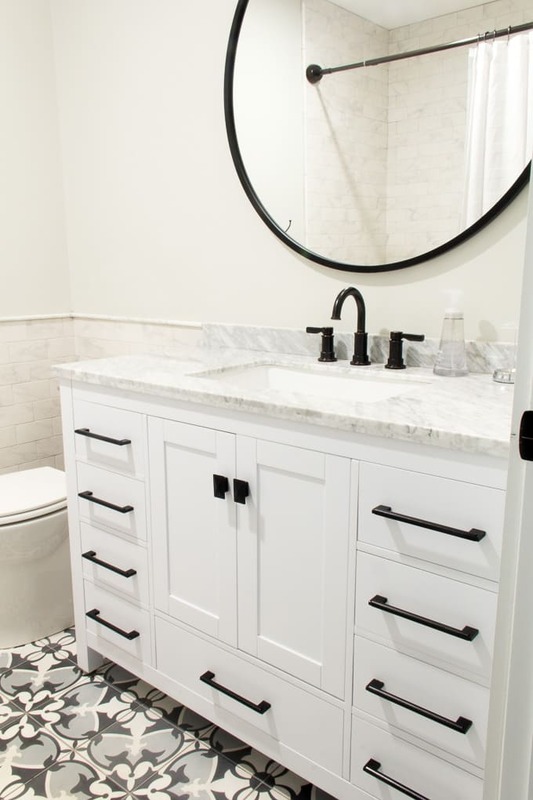 Sources: Vanity (painted Benjamin Moore Hidden Falls), Faucets, Shower Faucet, Light, Mirrors, Cabinet Knobs, Cabinet Pulls, Shower Curtain, Shower Curtain Rod. The “before” of this bathroom had a LOT going on! 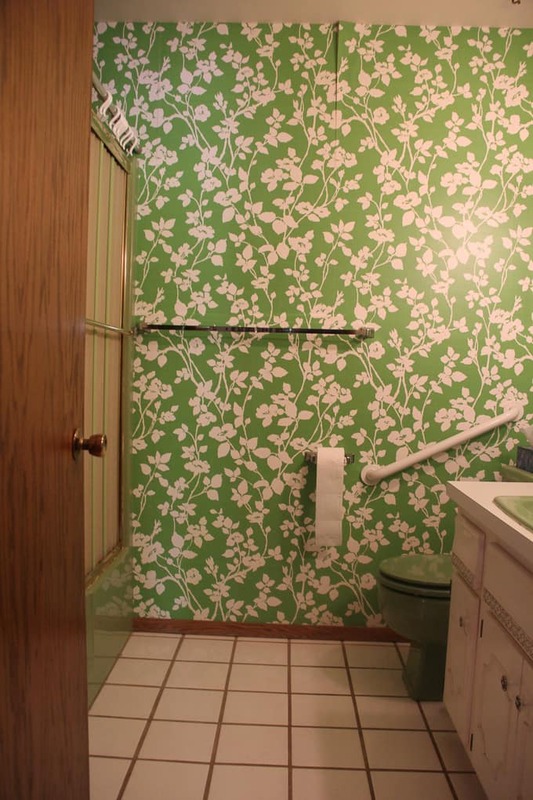 Not only was the tub green, but also the sink, toilet, and wallpaper! Again we kept the same layout, but modernized EVERYTHING. We also chose NOT to bring back any of the green! With five kids all on the same floor this is the bathroom that gets used by the kids the most. 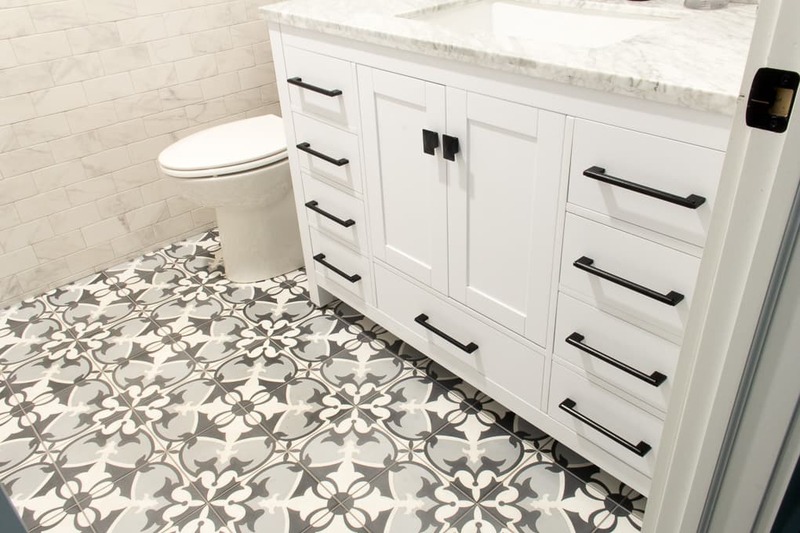 We chose a gorgeous cement tile that hints to the funky style the house used to have. 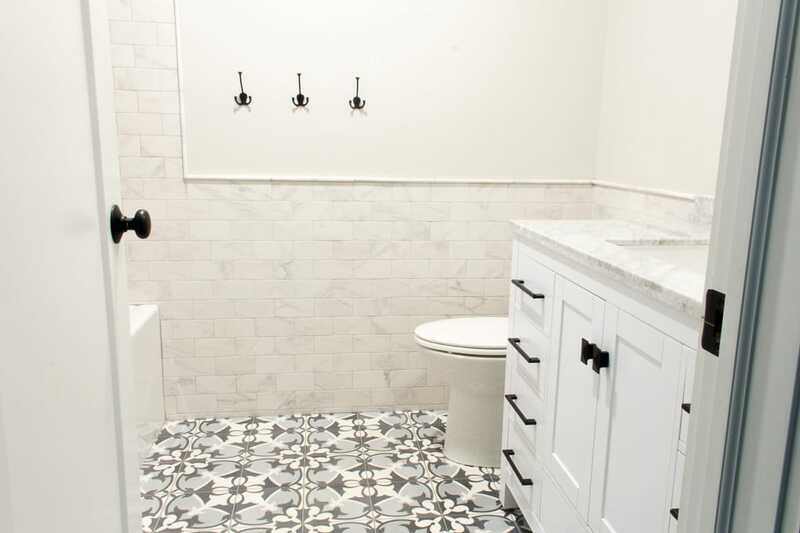 To not compete with the cement tile we kept everything else really neutral. This vanity came with nickel pulls that I spray painted to fit the rest of the fixtures. 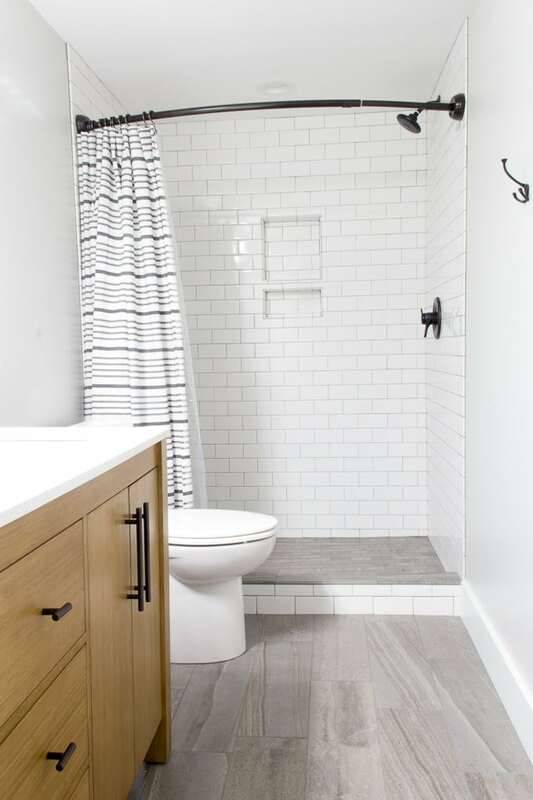 In this bathroom we chose a marble subway tile, versus the ceramic subway tile in the other two bathrooms. This is also the only bathroom with a tub. This mirror really is my favorite. I love it so much that I ordered one for my own bathroom! As you’ll notice, we added plenty of hooks so that everyone would have a place for the towels. This option allows them all to dry, compared to a towel bar. Here’s the dramatic side by side before and after! Crazy that it’s even the same bathroom! 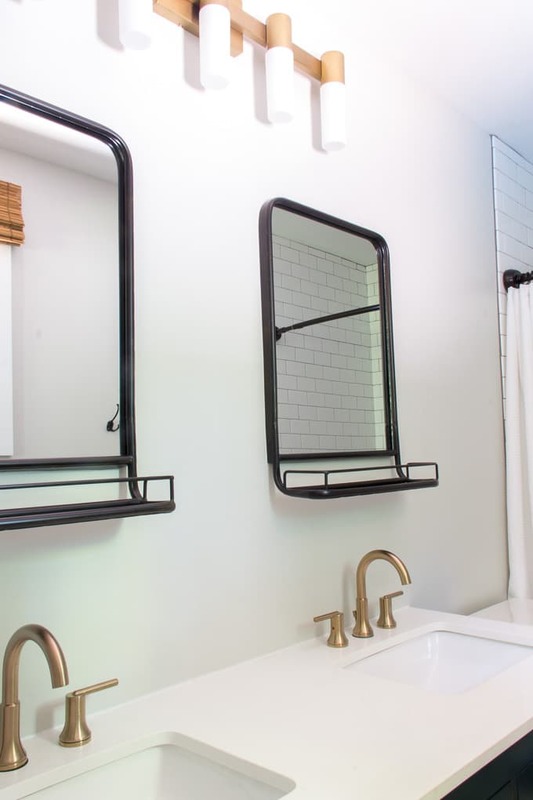 The basement bathroom doesn’t get any natural light so we chose to keep things bright and neutral in here. All three bathrooms have Benjamin Moore “Grey Owl” on the walls. 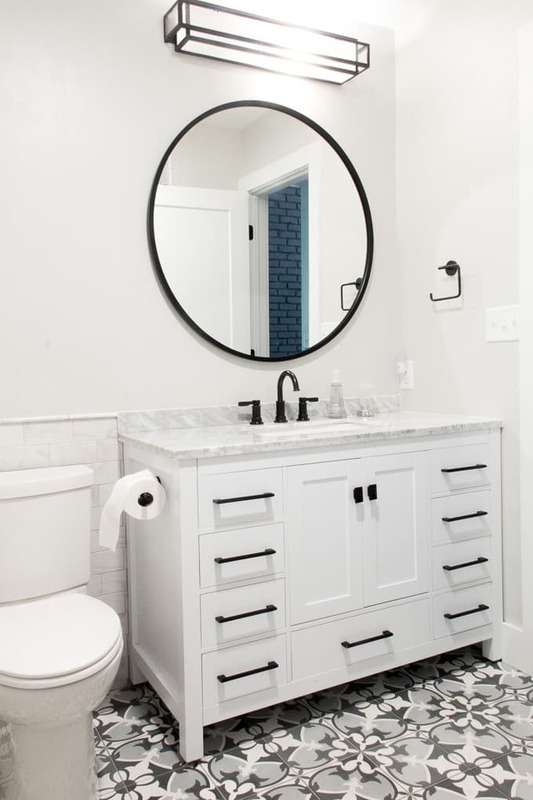 This is actually the same vanity that we painted for the master bathroom. Doesn’t it look great in the natural wood too? I love how the wood grain works with the striations in the plank tile. In here again we chose the same grout color for the shower tile as we used on the floor tile. Here it is looking back towards the door. Here we went with a plain stock mirror, mainly so that we could make the bathroom feel as big as possible! Here’s the final side by side before and after. That yellow buffalo check wallpaper really was something special huh? 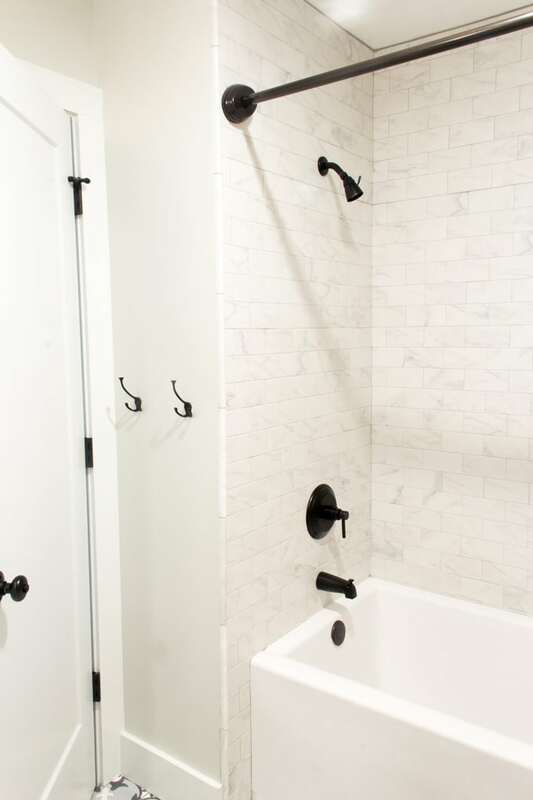 Would you believe that the space next to the shower was just boxed in for the smaller shower? 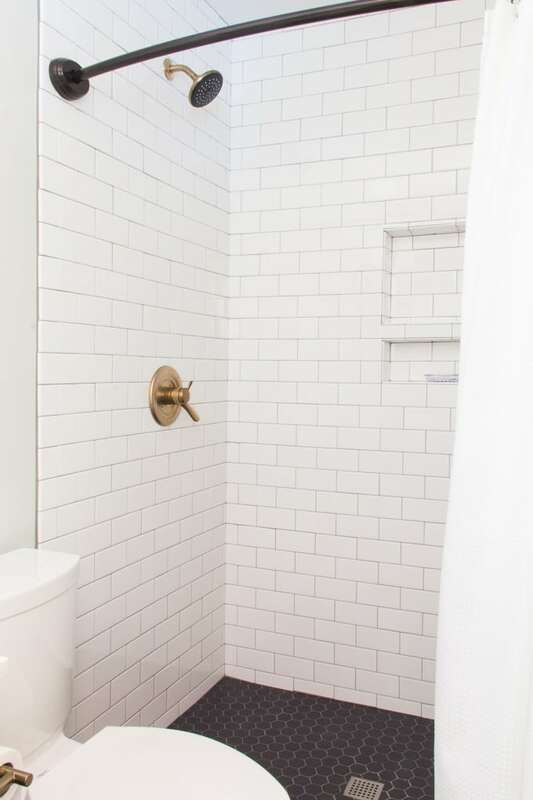 We were so happy when we realized we’d be able to use the entire width of the bathroom for the shower! 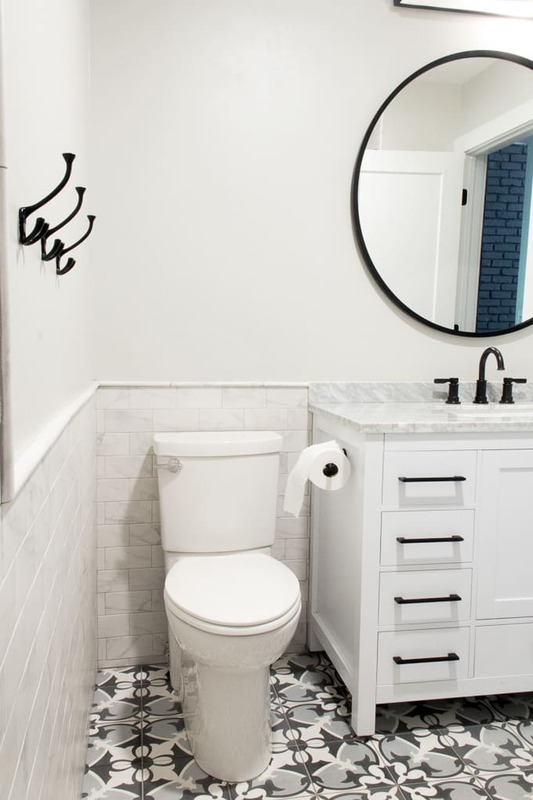 Thank you so much for stopping by to see these bathrooms revealed! 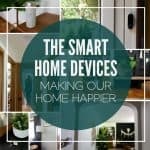 To see the entire house’s before pics you can head to this post! 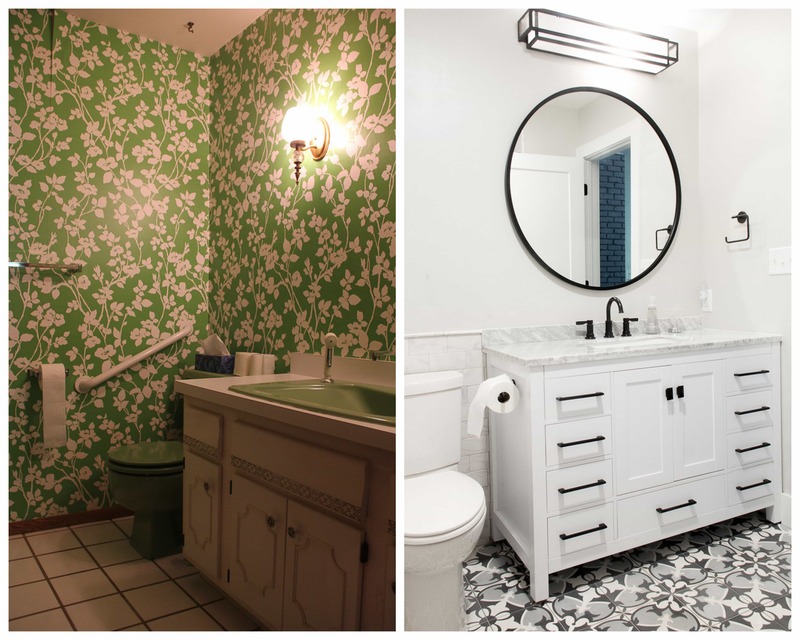 Even if you can’t tear out all your bathrooms I hope these inspired you! 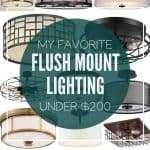 Maybe it’s just replacing a shower curtain or some new knobs and pulls on your vanity! Even those small changes can make a big difference! I’m in love with the vanity you used in both the master (be still my heart with the deep green!) and in the basement (aw, man, I love it in wood, too), but the links just take me to a general Lowe’s page. 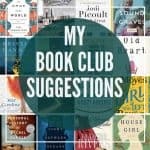 When you have a moment, I would REALLY appreciate a link or a name that would help me search for it!! Also, I assume you had custom tops made and bought sinks to under mount…any info on that would be appreciated, too! Wow! Thank you for taking the time to dig…I’m feeling very special right now. 🙂 I hope I can get my hands on it, but I;m not too worried b/c DH is building the vanities in the other bathrooms and seems a bit put out that I may have fallen in love with something for the master. LOL At least it can be our style inspiration either way now! Thanks again for sharing your time and talents!